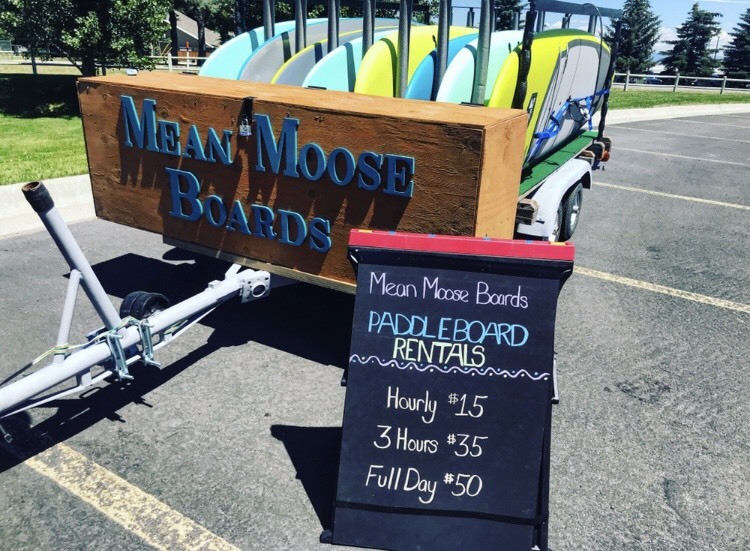 Mean Moose Boards - Helena SUP rentals with delivery - Who are we? I’m Chelsea, owner of Mean Moose Boards, and welcome to our first blog post! With one season under our belts here in Helena, I wanted a way to keep in touch with our community and fellow paddlers during the off-season. This is a place to share information, tips, tricks and more as well as keep you up to date on all that’s happening with MMB! We have a lot of ideas and plans for this coming season, but first, let me tell you a little about how MMB came about and who I am. 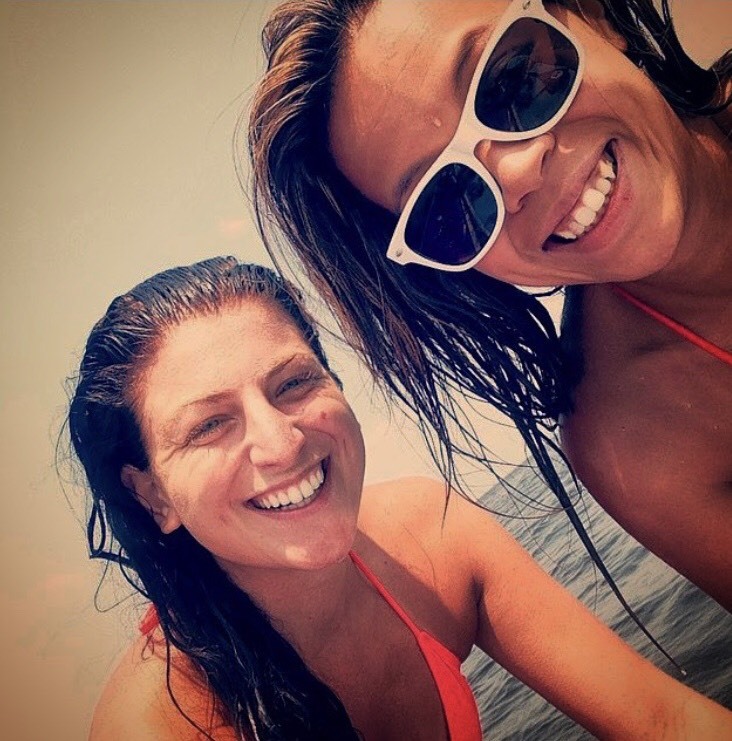 Me and Cathy on one of our paddleboard adventures! This business has been a dream of mine for years – since practically the first time I ever went paddleboarding. I owe my love for paddleboarding to my good friend Cathy. I lived in D.C. for about five years, and while there, Cathy took me paddleboarding for my first time. It quickly became something we did as often as possible. Many serious, and not so serious, conversations happened on these trips – it’s how we grew closer and to be better friends. While our first outing was fun, we were a little ill-prepared with little more than a bottle of tanning oil. The day after I went out looking for all the things we needed for our next adventure on the water - things like bungees, a waterproof phone case, a cooler that would fit on the board and a waterproof speaker. Since then, I’ve taken other friends, boyfriends and family out on the water. Fast-forward two states and a couple jobs later, and I found myself here, in Helena. We have so many wonderful places to paddle here, but none of them are close to each other. So I thought, how do people get boards to the water? So began the long process of building a business – something I knew nothing about. All I knew was that I wanted to recreate these exciting and meaningful trips with Cathy for my customers. There are of course some great established businesses in the area that offer rentals, but I wanted to take the next step. One of the scariest and most exciting days was when I bought our trailer. It was only $450 and looked like a piece of junk. Now $450 may not seem like a lot, but when it’s $450 of your own money, and when you don’t have that much to begin with, it’s terrifying! (This was before I found my financial backing.) And besides the money, I had never driven a trailer before! It was a homemade utility trailer made from the frame of an old boat trailer - how do I even register that? It was a scary moment because it meant I had some stake in the game. I owe so much to those two guys working on the trailer - my boyfriend Mike (in green) and our friend Adam. Adam even taught me a little welding so I could help make the frame. Our first summer, while short, was so fun! It was a slow start, but after we got some glitches worked out, it went better than I could have expected! Our business model is to take reservations and deliver, but as a new business, it took time to get the word out. 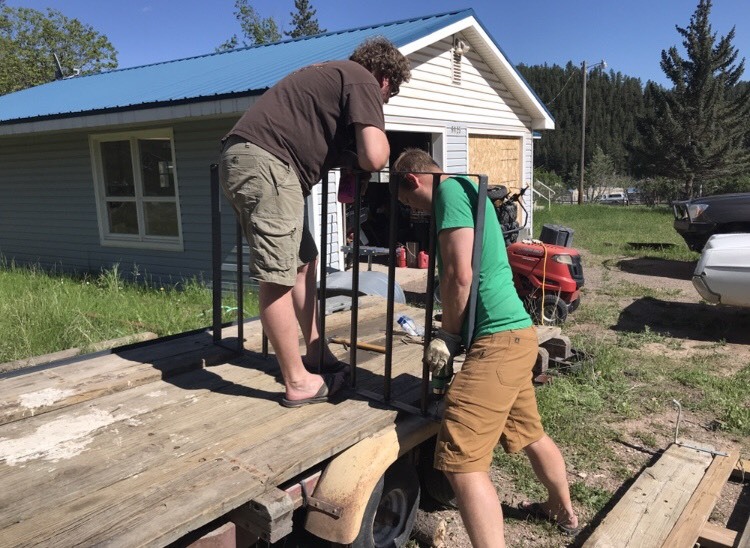 So on the days we didn’t have deliveries, we worked with Montana Fish Wildlife and Parks to offer hourly rentals at Spring Meadow State Park. I can’t tell you how AMAZING it was to see kids and adults out on our boards having fun! It sounds cheesy, but it literally filled my heart with sunshine! It’s those days that made the hard work worth it. And between talking to people at Spring Meadow, and word of mouth, we did get busy with deliveries. I felt like just as we were gaining steam, the season was winding down. So as we’re in the off-season we want to keep you up to date with things to do in Helena and ways to get ready for THE BEST SEASON: Paddleboard season!!! And if there’s something you want to know more about or want me to write about, feel free to shoot me an email at info@meanmososeboards.com and let me know! While I’m enjoying Montana’s winter I can’t wait to get back to the sun and warm weather!